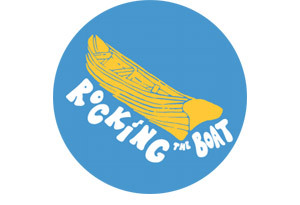 In 2009 Rocking the Boat consolidated all of their activities in one location at 812 Edgewater Road. They completed an extensive buildout of this space to serve their programmatic needs. They are serving 3,000 more constituents than in 2009, added six more staff, and attracted 10 more institutional donors. The intangibles are even more impressive for all user groups. Students feel welcomed and respected from the moment they walk into the brightly painted, double height lobby. The physical environment is highly conducive to staff productivity, satisfaction, and retention. Rocking the Boat has the opportunity to purchase this space, putting them in a position to reflect the organization’s environmental mission and turn the building into a model of environmental sustainability, both reducing environmental impact and saving costs while acting as an active demonstration of green design and infrastructure. Already, the building has numerous green features. Foremost, in that it is a creative reuse of an existing warehouse, it has mitigated the significant environmental impact of new construction. As well, since occupying the building in 2010, Rocking the Boat has installed two rain gardens that together capture all the stormwater that lands on the building’s 6,000 square foot roof. They direct rain into a gray water system and then into the ground, rather than into New York City’s combined sewer system, resulting in reduced sewage releases during heavy rain events. Internally, students and staff recycle all paper, metal, and plastic and compost all organic material in the backyard. Beyond these features, however, the building will be made to be significantly more environmentally efficient and sustainable. It is a 70-year-old uninsulated brick structure with a wooden roof. The lack of insulation causes excessive heating and cooling loss and requires continual heating and air conditioning to maintain comfortable temperatures. The wooden roof does not allow for the weight of a green roof, solar panels, or other energy conserving infrastructure. 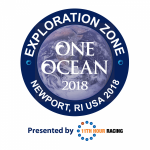 Rocking the Boat will actively work over the next five to 10 years to incorporate greater environmental sustainability into the building’s operations. The first step in this process will be to engage an energy auditor to understand what technologies could be implemented to improve the building’s operations. Possible outcomes that Rocking The Boat could implement: insulate the building envelope, replace wooden roof with weight bearing roof, install solar panels, install green roof, increase signage and infrastructure around recycling and composting.